Whatever Happened to Those Bees Spilled by that Semi Truck? Back in April a truck driver flipped his semi, spilling all his cargo and blocking two lanes of traffic. The rollover happened around 3:30 am according to reports. However a tow truck couldn't move the truck until 8:00 in the morning. While most of his cargo was killed in the collision, some of it did manage to fly away from the cracked and ruin containers hauled in the trailer. This semi truck accident stalled traffic for hours, and the fugitive cargo stung everyone in the area. But we never found out what became of the spilled bees (we broadly know they aren't doing well). From various news reports we know that the farm the bees belonged to suffered a major financial set back with the loss of so many pollinizers. 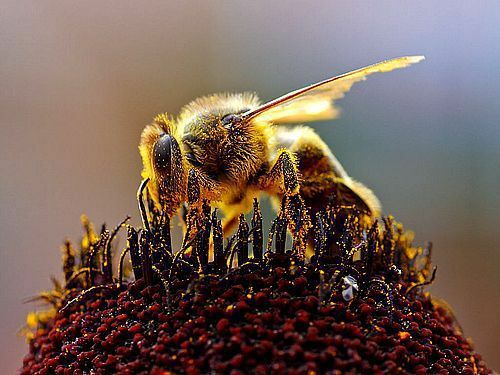 Washington-based agricultural efforts probably absorbed the blow to the bee population, but if they have a long term solution they haven't shared it with anyone. Semi trucks are necessary for our societal needs (or rather, our current system of roadways makes semi trucks the most cost effective solution to the problem of cargo transportation). Large vehicles with tremendous hauling power are required. But on roads semi trucks don't have the support they need. Consider the fact that the semi truck couldn't be moved for more than 4 hours. The wreck occurred between 3 and 4 in the morning when the roads are mostly clear. Semi trucks are so large and cumbersome to move that it still takes a lot of time to move the equipment to a wreck to move them. This long wait could result in more severe injuries and deaths. One reason officials don't have this equipment ready to go has to do with the way our brains work. Thanks to various cognitive biases (sometimes called "Social Proof Tendency" by behavioral professional Charles Munger), we expect trucks to behave like other vehicles on the road. We see a lot of cars on the road and we expect that they will all behave similarly even if one is outsized. This cognitive bias may be the reason semi truck collisions cause more lethal wrecks than collisions that don't involve semi trucks. Unfortunately a beloved entertainer, Tracy Morgan, knows how dangerous semi trucks are. His life was altered forever by an accident with one of them. Fortunately Mr. Morgan has done the right thing and sought justice with his lawyer, maybe making us all safer in the future.